A complete list of tutorials and projects on 555 Timer. Hello friends, hope you all are fine and having fun with your lives. 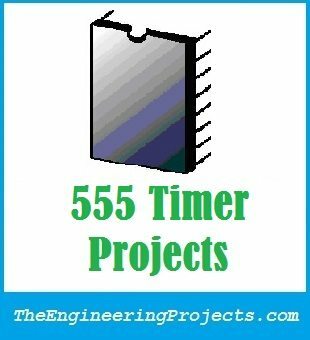 Today I am gonna post 555 Timer projects list which are already posted on our blog. Actually, I have posted many 555 Timer Projects on my blog but we don’t have a list of these tutorials and they are quite scattered. So, today I thought to arrange them in a proper list so that you can find all of them in one place. All these 555 timer projects are simulated in my favorite simulating software Proteus. I have also given their simulations for download in almost all tutorials. If you feel problem in any of them then ask in comments and I will resolve them. I will keep on updating this list in future as I am gonna add more projects on 555 Timer, I will add their links below. So, enough with the talking, let’s get started with 555 Timer projects. I have divided these projects and tutorials in different sections depending on their complexity. Follow all these tutorials step by step and you are gonna be expert in 555 Timer real soon. I will keep on updating this list in future, whenever I am gonna add new project on 555 Timer, I will post the link here. What is 555 Timer ??? Now I think you are quite expert in 555 Timer and have done the basic projects so now its time to move to the next level and design advance level projects with 555 Timer. In these projects we are gonna interface difference electronic modules with 555 Timer.